Pretty surprising way to promote an eSports team, but here they are: Team Dignitas' North American League of Legends team got unique 3D-printed figurines, and they are all available for $40 each. 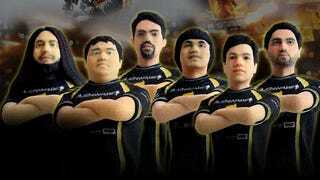 Here's Kiwi, Shiphtur, Crumbzz, Zion, QT, and Scarra. Sadly they won't say random LoL-related things if you squeeze them.